MISSION — Two brothers unloaded kayaks, a cooler and fishing equipment from their pickup truck last week. Josh and Jerrad Diaz wanted to arrive here early in the morning to beat the South Texas heat, which has been unforgiving this summer, but woke up late after a long night. 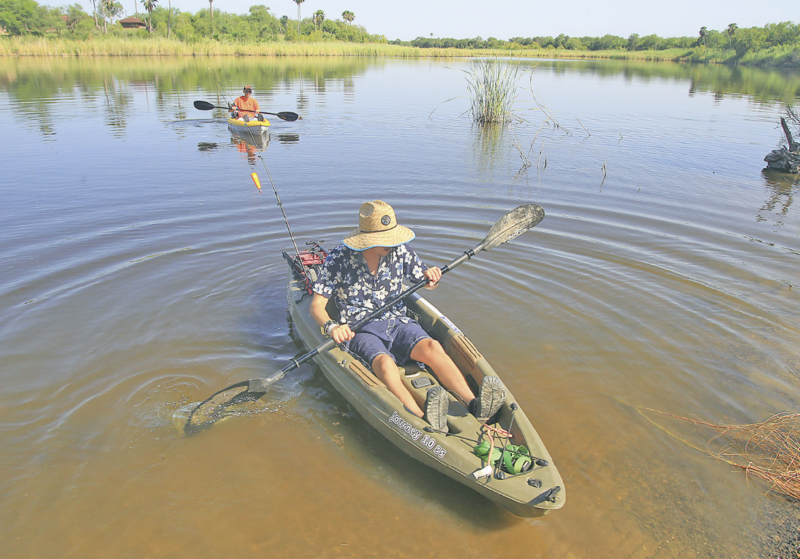 At least now they were about to enjoy a day on the lake in the oldest state park in the Rio Grande Valley. The brothers carried their gear up the gravel slope toward the park’s entrance. 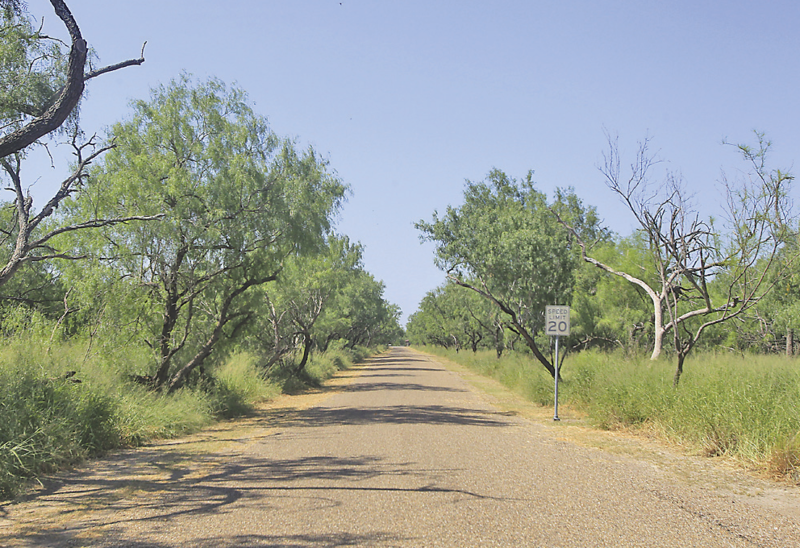 They had just learned about President Trump’s border wall earlier in the week, which according to its current map would wipe out almost the entirety of their destination: Bentsen-Rio Grande Valley State Park. The Diaz brothers pulled their equipment over the levee just past the visitor’s center. “It’s gonna be right here?” Jerrad, 21, said. His brother, Josh, pulled out a cigarette. He voted for Trump in the 2016 election. “How tall is it gonna be,” Josh, 28, asked, having just learned about the border wall from a friend last week. When told of 18-foot bollard posts atop the proposed concrete wall, he figured any immigrants trying to cross into the United States could hop that. Josh’s confidence in his candidate has waned. Jerrad, who didn’t vote, laughed. 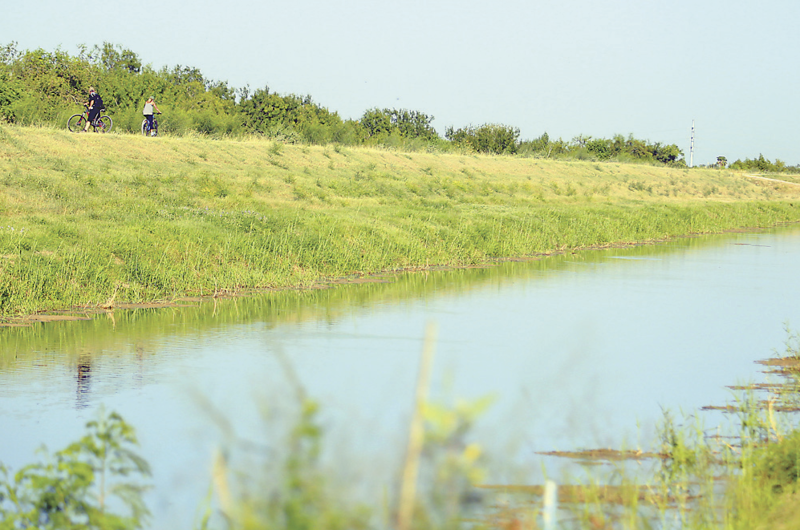 Property owners along the Rio Grande received maps and a letter from the federal government in July illustrating that most of Hidalgo County will be walled off from the river. The Santa Ana Wildlife refuge will be the only stretch spared from the wall, according to the U.S. Customs and Border Protection letter. The wall project will also include LED lighting, a camera surveillance system and a 150-foot zone on the south side of the wall where only property owners and law enforcement will be allowed. By that measurement, this state park in Mission would be inoperable. Smith’s agency runs the park. The prospect of it closing is a real possibility, he said, but one he’s hoping to avoid. In October 2017, Smith wrote a letter to CBP showing his concern for the wall. That letter clearly didn’t work, as CBP’s recent maps show the wall intersecting all of the park. Smith said most recently he provided CBP alternatives to the wall. “To accomplish both border security mission and our obvious desire to ensure the viability of the state park going forward,” Smith said. Part of those alternatives include more security personnel from his agency, which has an existing security arm. But is security a concern at the park that attracted 30,000 visitors in 2016 and grew 5 percent each year since? The wall ending the park would put the ownership back in the hands of the Bentsen family. Lloyd Bentsen Jr. was a four-term Democratic U.S. senator from Texas and the party’s 1988 vice presidential nominee. “I would consider that the proverbial nuclear option,” Smith said of his agency losing ownership of the park. Smith sent CBP a letter in July. He hasn’t heard back. Construction on the wall is expected to begin around the end of the year. Today, the park features wildlife unique to the Valley woodlands. Texas ebony, black willow, anacua, huisache and other species provide food shelter and nesting habitat for many Texas natives. Of the hundreds of rare, threatened or endangered species documented in Hidalgo County, 25 species have been confirmed at the park. 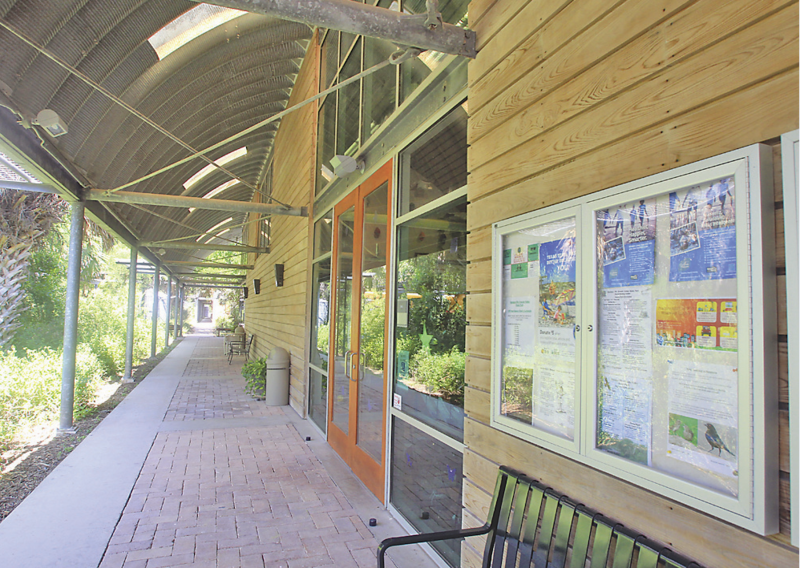 The park is best known for its birding center, which attracts visitors from across the globe. The Valle family was in town recently to do just that. Eddie and Janet Valle were in from Florida visiting their children. Eddie Valle had camera gear to photograph the rare birds, but he didn’t know this experience might not be available for much longer.